Just as you shouldn’t miss checking out the Statue of Liberty on your first trip to New York, a visit to the island of O’ahu warrants a stop at Pearl Harbor, the historic site of the attack that catapulted the U.S. into World War II on December 1941. Though part of the harbor is still an active military base, most of the grounds today are a national monument under the administration of the National Park Service. It is a vast park that requires plenty of time and planning for a comprehensive visit, since the different points of interest are far from each other. Renata and I were aware that a visit to the USS Arizona memorial would not happen, since reservations have to be made with months in advance. I only found that out way too late, since the earliest ticket we could get for that specific site was for late July. We woke up quite early and ate breakfast at an inexpensive Waikiki restaurant called Cheeseburger that was not far from our hotel. The plan was to go to a Subway location, but we found that unlike its New York counterparts, they are not open early – only after 8 A.M. We kept things simple – eggs, toast and sausage and we were on our way. the war – including some present-time information. We then boarded a tour bus for a short ride towards Ford’s Island, where the Pacific Aviation Museum is located. 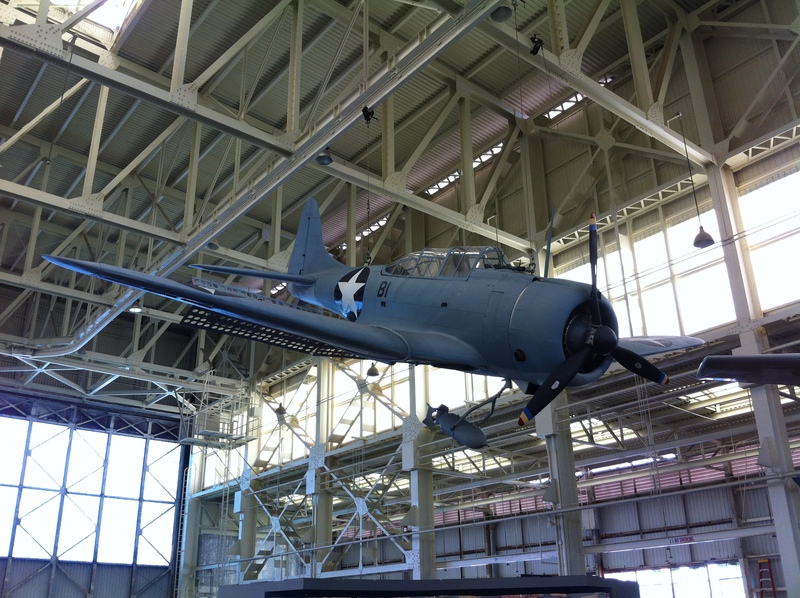 Still under development in hangars that bear the marks of the Japanese attack (there are bullet holes in certain places), the museum follows the development of military aviation in the US and of the Pacific Campaign including the ame-changing battle of Midway. The museum also houses a rare Japanese Zero fighter airplane, a fast monoplane that was instrumental for the success of the attack. They also have a Russian-built MIG in North Vietnamese colors and other oddities – including several other planes under restoration. We also got to meet a true-life WW2 veteran who witnessed the attack (he was working as an engineer at the time), and asked a few questions about his experience. He seemed lucid and eager to talk, and I took as much advantage of that as I could, since I never got to talk about the war with my grandfather, who (to the best of my knowledge) served in the Navy aboard the USS Iowa. 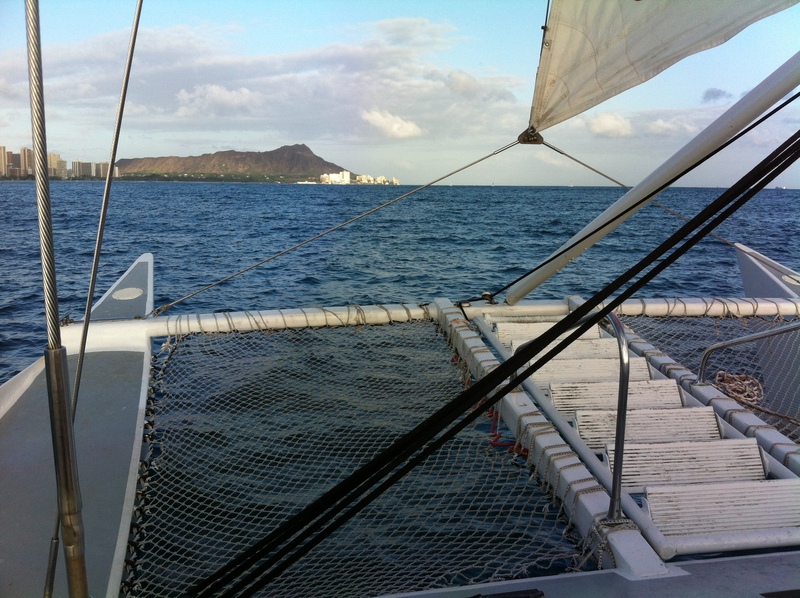 After the visit, we rushed back to Waikiki to get a bite to eat and prepare for a sunset cruise we had booked via Groupon. By then we had already gotten used to the buses and easily made our way to the dock. We got there at around 5:30 with a bottle of wine at hand (it was a BYOB cruise) and boarded the Island Magic Catamaran, a small boat with the capacity for about 25 people. Luckily, we were part of a small group formed by a Canadian couple from Vancouver and a small family. It was quite magical to see Honolulu from afar, and to watch the sun set on the Pacific. The small crew was very nice, and they readily answered whatever random questions we had to ask them – including inquiries about living in Hawaii. After we docked, we headed to a nearby Starbucks for a cup of java and phone recharging. We were quite surprised to find that unlike their New York sister shops (or Warsaw, for that matter) there are no public restrooms in their locations. The friendly attendant told me that most of their stores on the island were like that, but did not elaborate why. Prices there are slightly higher than in Manhattan – a tall coffee goes for about $ 2.15 (compared to $ 1.90 in NYC), but everything else – including the free wi-fi – is pretty much the same. Adega Portuguesa is a Portuguese-Brazilian restaurant in the island’s Chinatown district, an area filled with a variety of eateries alongside food markets and shops. 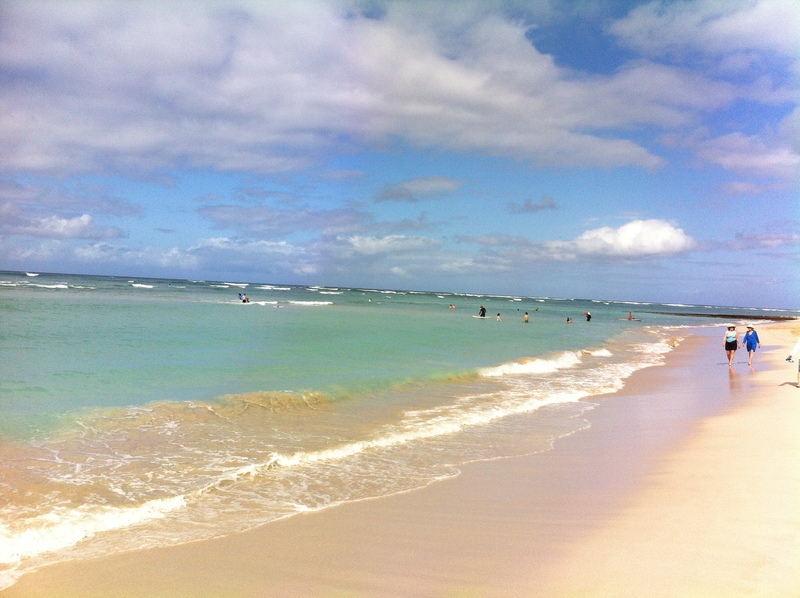 By then, we had already realized that most places in Honolulu – save for bars – close their kitchens quite early (there are very few 24 hour shops there), so we knew we had to hurry. Adega is a small place with about 12 tables, and they have a small menu that includes specialties like feijoada and rodizio (all you can eat barbecue) alongside seafood, meat and poultry. We were greeted by Bruno, a Portuguese surfer who had only been on the island for a few weeks. We had a $ 40 Groupon, so we ordered our entrees – Renata had chicken breast sautéed in shrimp and mushrooms, while I went for a seafood medley. There was a musician on stage playing a mix of electronic and acoustic music, so we listened while sipping on Periquita wine. Needless to say, the food was great, and the atmosphere there was really relaxed. replenish our energies for the weekend ahead. with breadcrumbs, butter and salt & pepper. Set aside. garlic until mushrooms wilt down. Pour off some off the juice from mushrooms. Cook until the remaining mushroom juice is reduced. Season Ahi with salt and pepper. little in the broiler before adding the onion mixture.